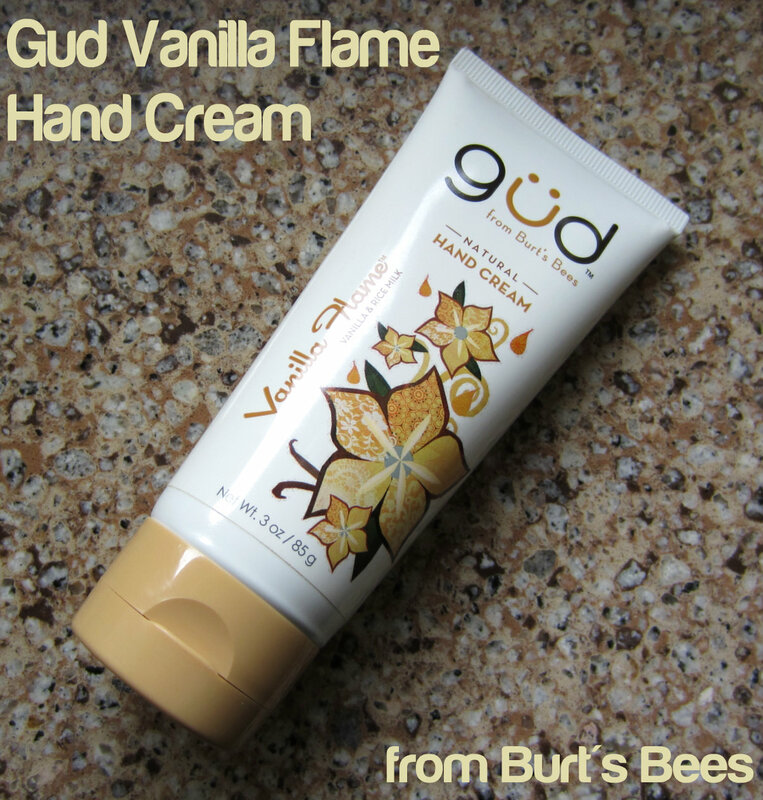 Gud Vanilla Flame Natural Hand Cream is an offshoot brand from Burt's Bees, and has a range of skin care products including such things as shampoo & conditioner, hand soap, body butter, hand cream, and more. I've always been impressed with the Burt's Bees line, but this first product I'm using from Gud...just isn't that good! 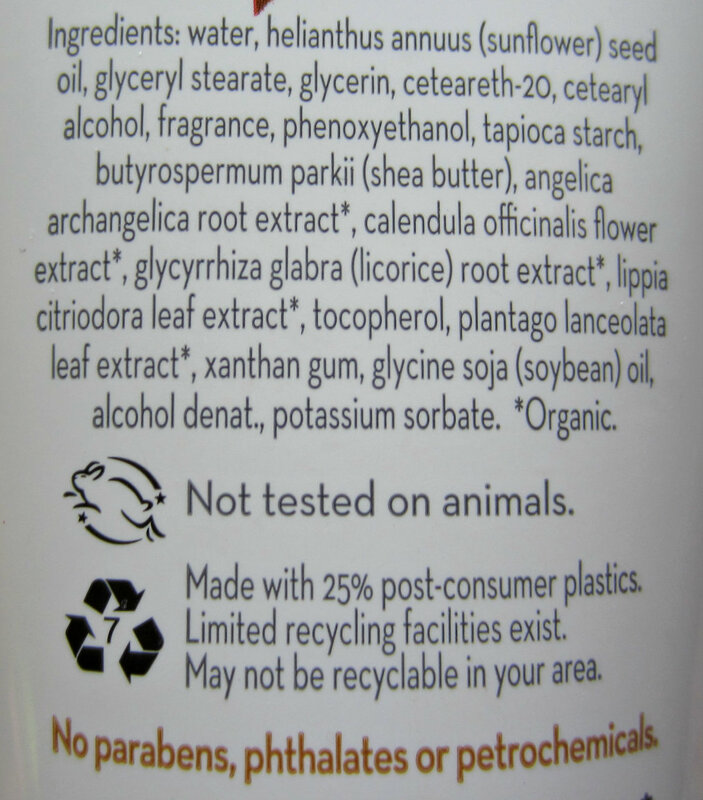 The hand cream retails for about $7.49 for a 3 oz. tube, and can be purchased at drug stores, Walmart, Target, and various etailers. The Vanilla Flame scent itself smells good--a warm vanilla musk scent--but it's strong. Certainly stronger than I want for a hand cream. It definitely overpowers any fragrance/perfume I wear, and I can see how the scent could be very bothersome to certain consumers. It doesn't fade away quickly, because I can still smell it 4 hours after I've used it. 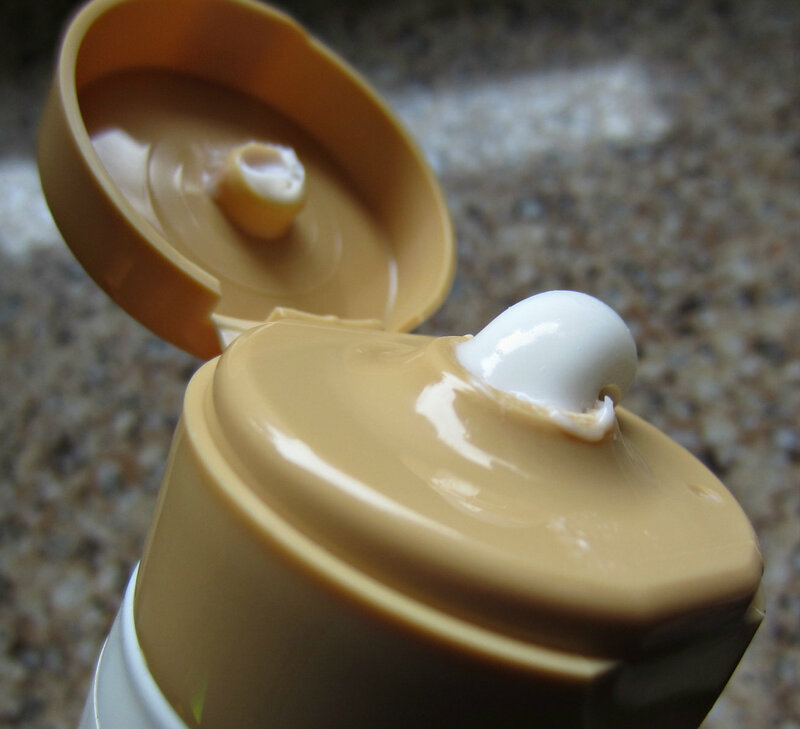 The formula is fairly thick, and it absorbs nicely without feeling greasy. 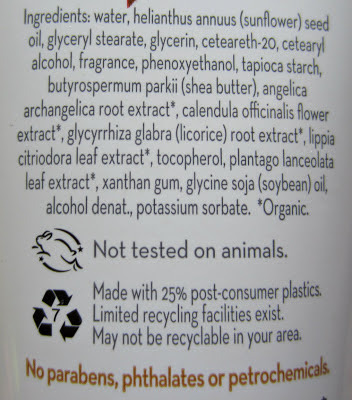 As you can see from the ingredients, there are plenty of hydrating products in it--shea butter, oils, glycerin--but I don't find this cream to be particularly moisturizing. It's a quick fix if my hands look and feel dry, but I wish the hydrating effect lasted longer than the scent. After a couple of hours, my hands look and feel like they need another application. Maybe some of the other products from this line will give me better results, but this one didn't really do too much for me. I think it's priced a little on the high side for the quality, and I'm disappointed that it doesn't moisturize as well I expected it to. Have you tried anything from this line yet? I'd be interested in hearing your thoughts about it, and if you had better results than I did. Thanks for the honest review, Mary! I have not tried anything from this brand yet, but I've seen it in stores.